I love you, Diet Coke. I love the way you feel on my tongue and the burn you leave behind as you slide your way down my throat. I love the sound of your bubbles fizzing happily inside your beautiful simplistically designed can. There is no better feeling than taking that first sip of a freshly open Diet Coke. Diet Coke, you have been with me through it all. Thick and thin, in sickness and in health, until death do us part. In the past 18 years, not a day has gone by where we haven’t had each other (well, except that week I went to Cuba and I cheated on you with Mojitos, but we promised each other that would never happen again.) You have been by my side through all of my triumphs and failures, celebrating alongside me with your bubbly sweet deliciousness. You give me life, Diet Coke. You brighten my dullest day day and can take me from a raging lunatic to a happy one with a single gulp. I turn to you in times of stress and sadness, boredom and joy. People say you’re not good for me, but they don’t understand what we have. They think they know, but they don’t. We’re meant to be together and I know you would never hurt me. I will take you any way I can get you, but I do prefer you cold and in a can. When you are flat, it makes me sad, but I drink you anyway. 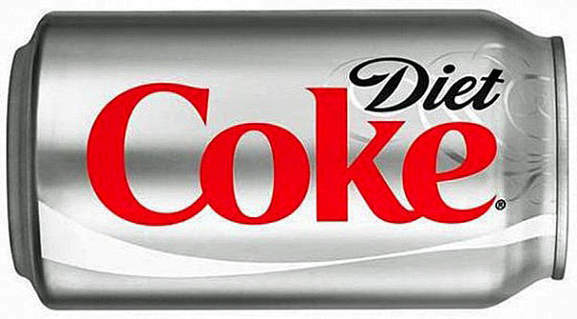 I down you like water, Diet Coke. To the point where I’m pretty sure my blood is a 50/50 mix of red cells and delicious, brown bubbles. Pepsi is an imposter and will never be as good as you, even if they do try their best. Diet Coke, you mean so much to me and I will love you forever and ever. Seriously, I hope to be buried with a can of you …. just in case. I love you, Diet Coke.